UPDATE: According to Chris Barry , the instructor in these pod casts, Salesforce has removed them because they are now focusing on new/better low cost training. As soon as I learn more about what that is, I will post about it here. 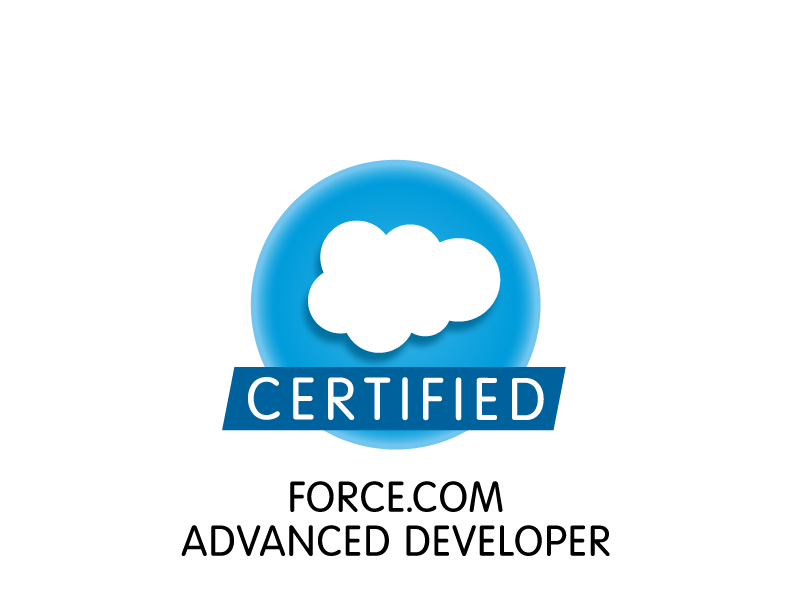 For anyone studying for the Salesforce Advanced Developer Certification, I strongly suggest you check out the following recently refreshed series of Podcasts posted on ITunes. They are recorded sessions of a fairly recent (from the Spring 2013 time frame) class given by Chris Barry at Salesforce. There are some differences between the online premier training and the in-class training, but for the most part, you could follow the notes posted on this blog as you watch the Podcasts. Just keep mind that the episode about the Developer Console is very out of date, since the Developer Console has changed dramatically in the Summer release. Hi Sarah. Thanks for all of the great info. I’ma windows user and have never used iTunes before. It appears that I cannot see the podcasts from the US. Is there another way to access these podcasts? Looks like these podcasts are no longer available even in the US. Can someone confirm ? Sorry, but it seems like the Pod casts have been removed by Salesforce intentionally. As soon as I learn of a replacement, I will post about it here, so I suggest you signup to follow. According to Chris Barry (see link here: https://success.salesforce.com/answers#!/feedtype=SINGLE_QUESTION_DETAIL&dc=All&criteria=ALLQUESTIONS&id=90630000000hm9fAAA) , the instructor in these pod casts, Salesforce has removed them because they are now focusing on new/better low cost training. As soon as I learn more about what that is, I will post about it here. Hi, I went ahead and reached out to Chris Barry himself about the podcasts you found. He said that they are not authorized by Salesforce and that the person that posted them really should not have. They are not the most recent ones either, rather they are from the very old 2009 recordings, which is very outdated.